There are a few ways you can access the FTP (File Transfer Protocol) using your Mac, one of them being typing in the FTP address in your web browser’s address bar and performing some of the very basic operations. The other way is to use an FTP client that lets you do advanced operations as well as manage multiple accounts. If you are much into these geeky things and often upload and download files using FTP, you should consider using an FTP client that has all the features you need on your day-to-day basis. 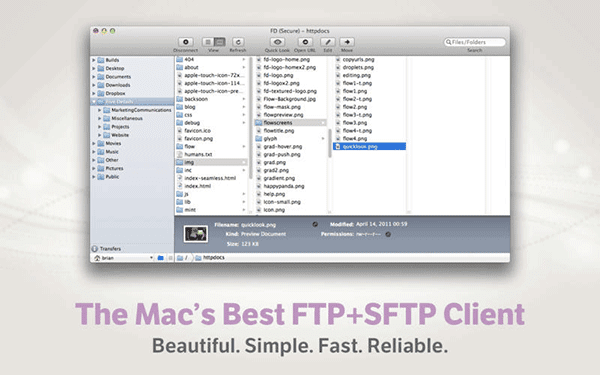 Here are some of the best FTP clients for Mac that are ready to serve you with all the features you would ever need. FileZilla is no doubt one of the greatest FTP clients for computers. With support for three major operating systems, namely Windows, Linux, and Mac, it has been a go-to client for many web developers for years. It supports various sub-types of FTP, such as SFTP, FTP over SSL and so on. The user interface has been nicely designed with support for tabs, just like what you have in your Chrome and Firefox browsers. Besides, it supports files larger than 4GB, has file name filters, and consists of numerous other features. If you are looking for an FTP client that does everything, FileZilla is what you should be going for. Cyberduck secures the second position. Not only does it support FTP, it can also access WebDAV and such other cloud services as well. Most of the basic features remain the same as FileZilla; however, there would be some changes in the interface and the way it connects to various servers. The client makes it extremely easy for a user to upload a file. Simply drag and drop the file into the client, and it will instantly be uploaded to the server. Similarly, drop a file off of the client window to your desktop and it should be downloaded. It saves a lot of time and hassle of doing tasks manually. In case you still live in the 80s, the Classic FTP client is there to serve you with the most classic experience you’d ever get from an application. The app remains classic and provides features ranging from basic to advanced. The main interface is divided into two parts – one for your local files and the other for the remote files. Simply drag the files from your left-hand side and drop them into the right-hand side, and it will start uploading to the server. Why people call it a classic client is because it doesn’t have much clutter or feature-richness compared to other clients. 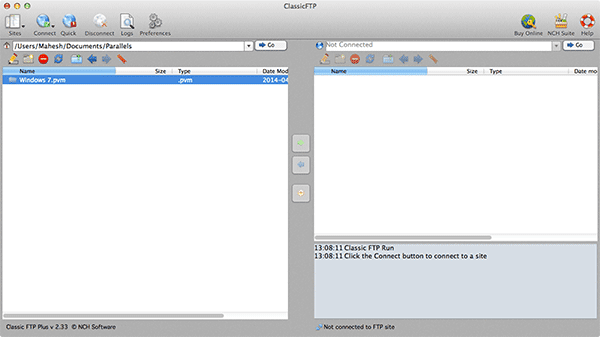 CrossFTP is an FTP client for those who like to have more features in a less-cluttered interface. With features ranging from tabbed accounts to password encryption, it covers most of your FTP needs. It supports archive extraction, meaning you would be able to extract any zip archive without using a third-party app. Besides, you get features like search, sound notification, and so on. Flow is a paid FTP client that offers some of the best features you would look for. It lets you copy web links right off of your current session, makes editing easier with the built-in editor and the integration of preview. When you come across an image that you would like to preview before downloading it, just hit the Spacebar and it will pop up like any other item for you to see. 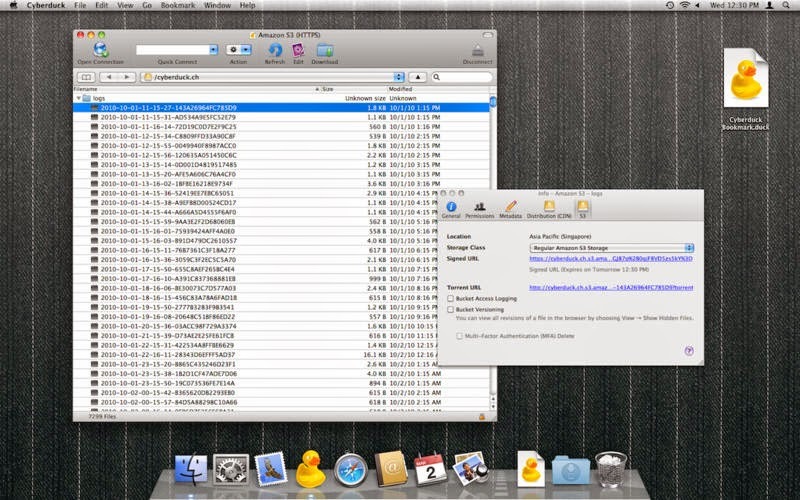 It is similar to the preview feature you find in the Finder of Mac. The app is priced at $4.99 and can be purchased from the Mac App Store. A FTP program is essential for every webmaster. While there are several ways to access your servers, the FTP clients above make it extremely easy for a user to perform various basic as well as advanced operations on the remote files without having knowledge of any kind of commands. Even a beginner would be able to easily connect to a FTP server and perform operations using the graphical user interface, all thanks to the apps above.